Passo Tonale is a village and a ski resort located on the mountain pass and it’s surrounded by ski slopes. 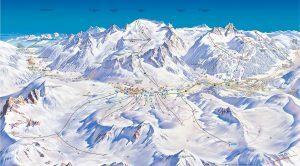 At our disposal we have over 100 km of routes located from 1120m in Ponte di Legno through Tonale 1884m up to 3100m on the Presena Glacier. 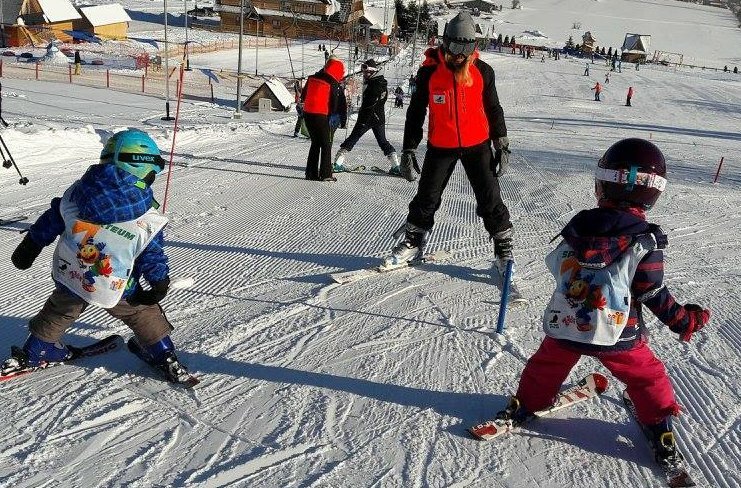 On most slopes there are specially designed starting lines with different lengths and slope angles. 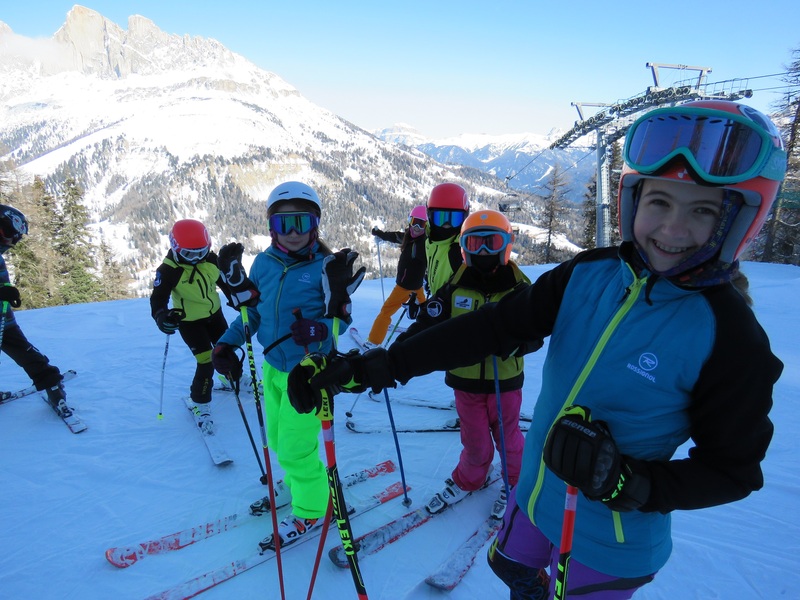 Tonale is a popular resort for training clubs including clubs like Trentino and Lombardy. 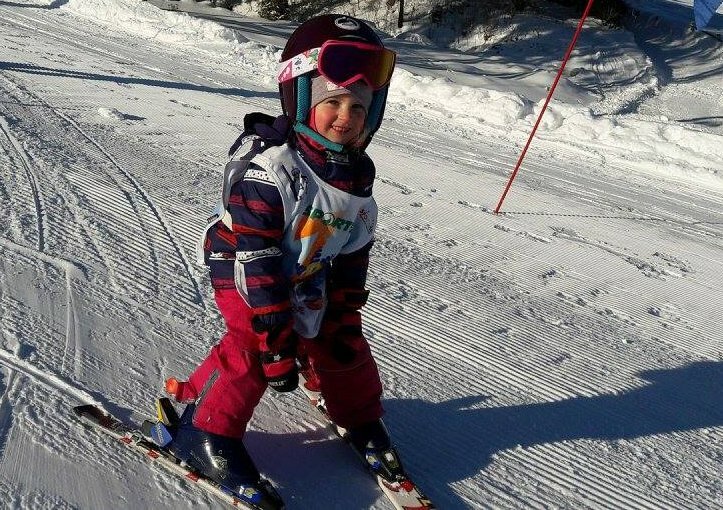 A short walk from our hotel you’ll find children’s ski lifts and the ski nursery. 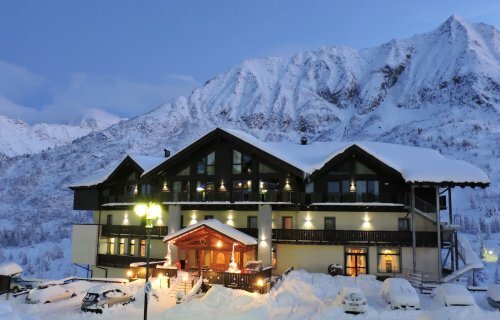 In the village there are a lot of pizzerias, shops, pubs and two nightclubs. 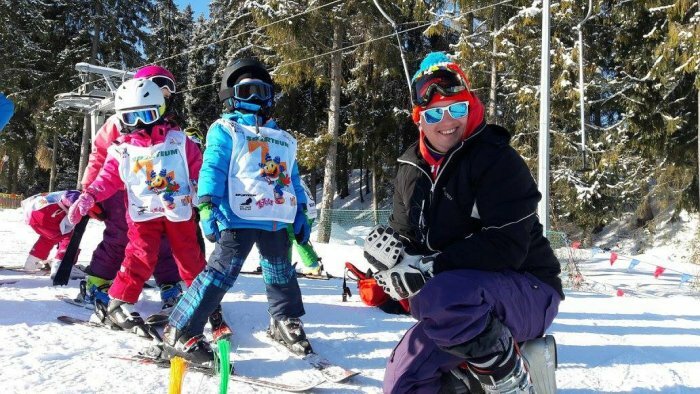 After skiing we also have an ice rink, snowmobile rental and several pools for your advantageous. 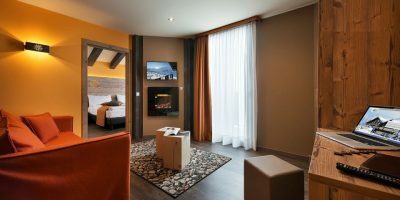 from over 300 hotels and 1300 apartments offers we have chosen a beautifully located, cosy and beautifully finished hotel – a Pearl. 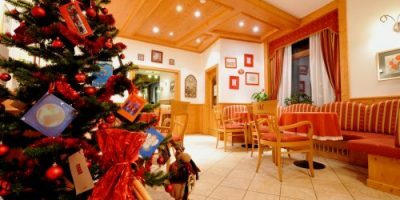 In the hotel we have a lounge where our guests can relax, a games room for children ( including snooker table, football table and videogames) and an alpine bar Stube. 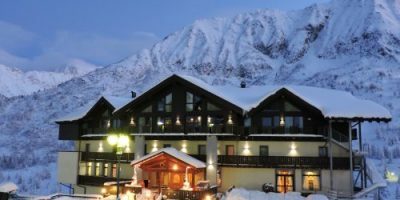 The hotel is located in the town of Tonale on the pass of over 1800m above the sea level, and just a few minutes walk on foot from the ski slopes. 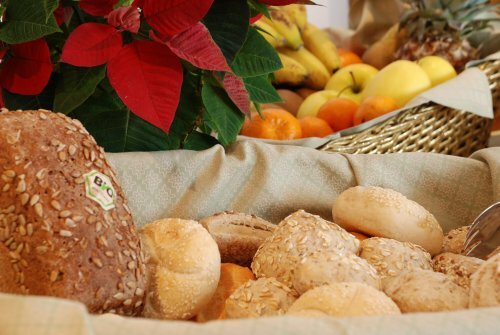 A few years in a row, the hotel restaurant has been awarded the highest rating on Trip Advisor! 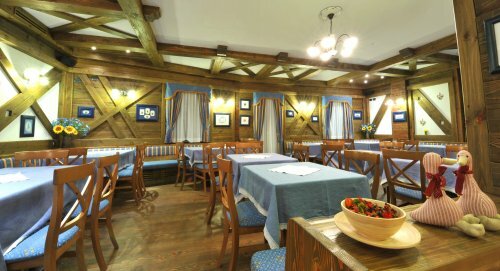 This year the hotel opens its newer, bigger restaurant! 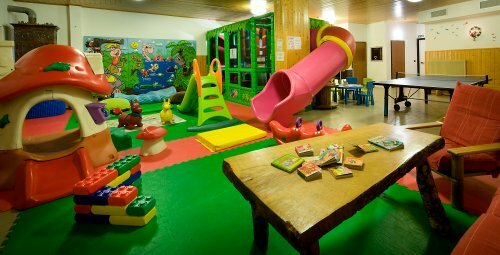 The hotel has three types of rooms adapted to the needs of families and children who are away on grouo trips . 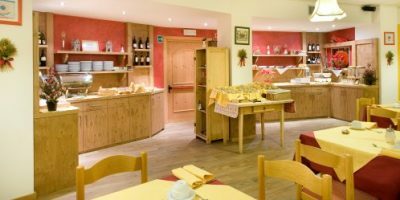 Below are detailed descriptions of the rooms Alpina, Tyrolia, Dolomia and Suite Solandra and Camunia. 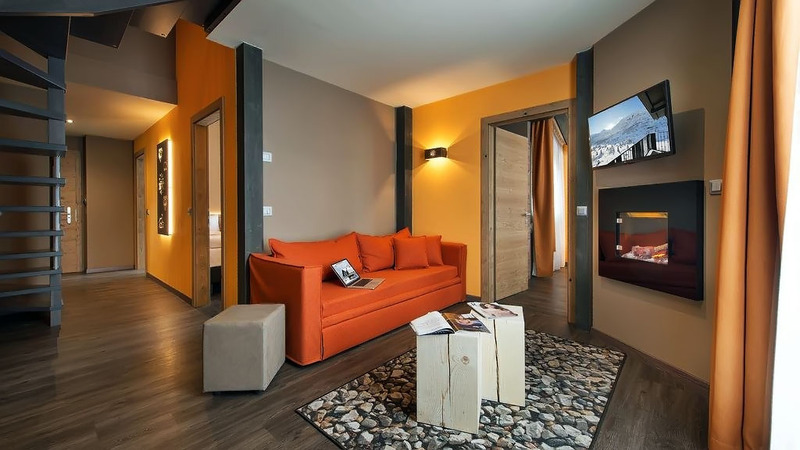 Alpina room: simply furnished in an alpine style with dark wood furniture. 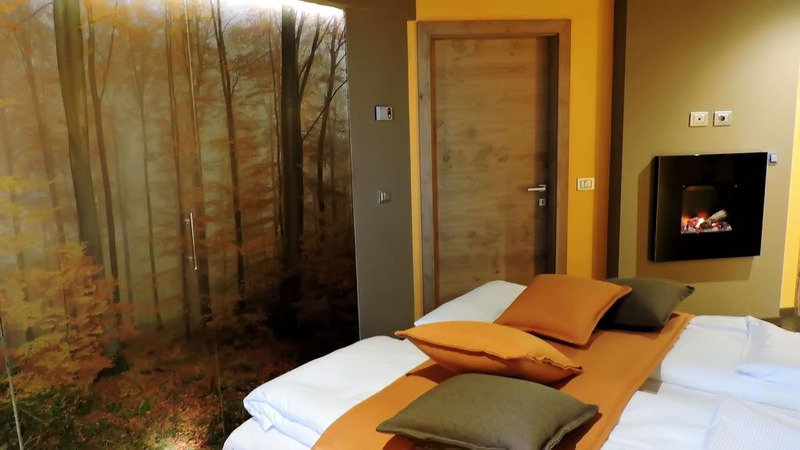 These rooms sleep 2, 3, 4 or 5 persons, all equipped with: 22 „LCD TV, telephone, safe, free WI-FI, hair dryer and bathroom with shower. 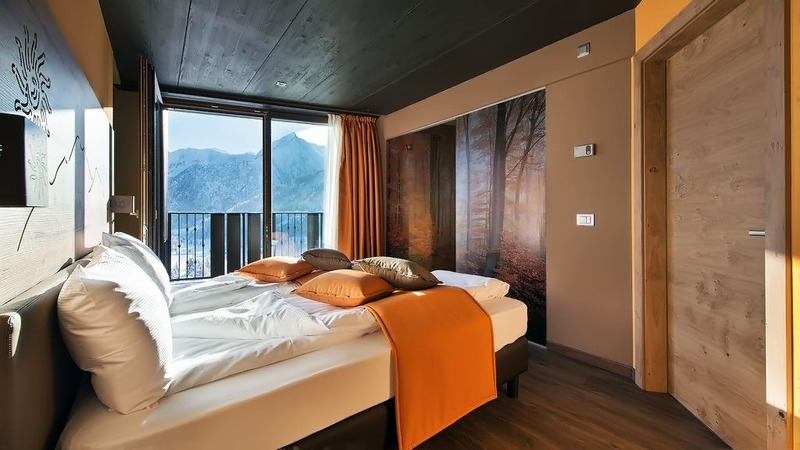 Each room also has a balcony overlooking the valley. 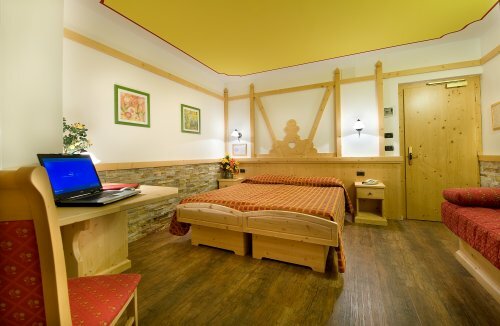 Tyrolia rooms: decorated in Tyrolean-coloured light wood referring to the tradition and culture of Trentino. 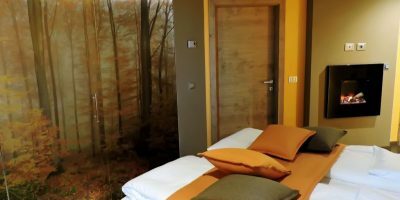 We have rooms that sleep 2, 3 and 4 persons and are all equipped with: LCD TV 22 „or 26”, telephone, safe, free WI-FI, hair dryer and bathroom with shower. 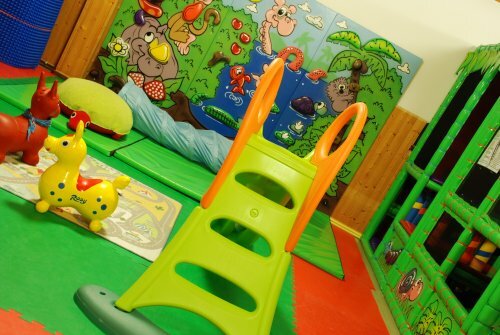 Rooms sizes: double 14-17 m2, three-person rooms 18-28 m2, four-bed rooms 35-40 m2. 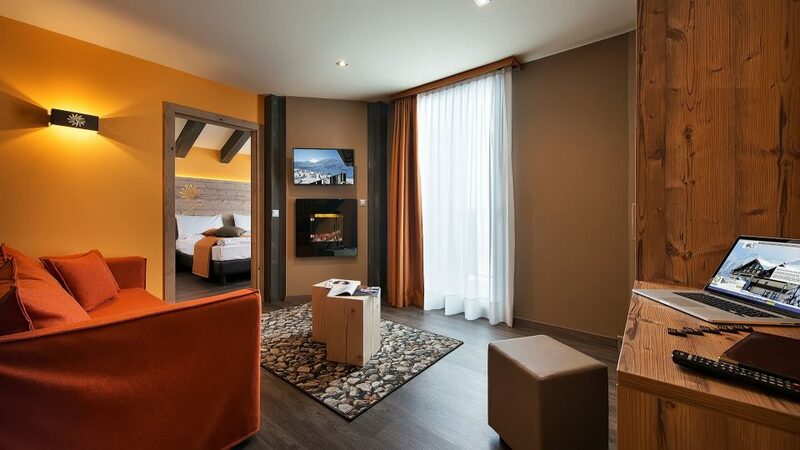 Dolomia rooms: ideal for those who value comfort and convenience. 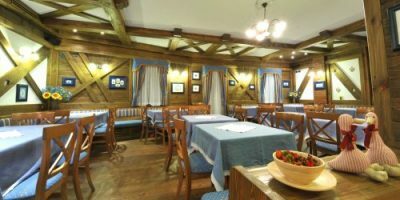 Spacious rooms furnished in the style of an alpine cottage located high in the mountains, rooms for 2, 3, 4, and 5 persons. 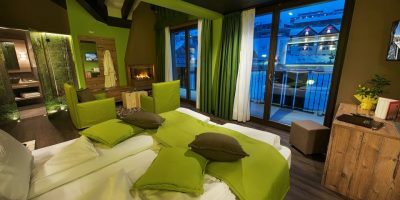 Most of the rooms are overlooking the valley and each Dolomia room has it’s own private balcony. 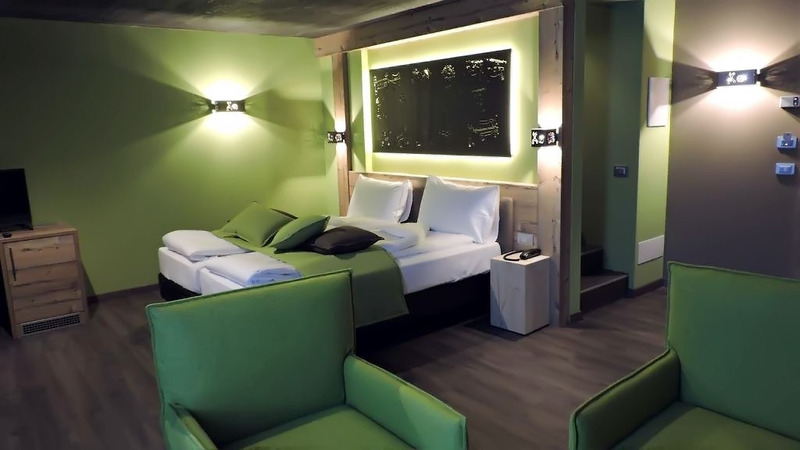 These room are equipped with: a 22 „or 26” LCD TV, telephone, safe, free WI-FI, hair dryer and shower. 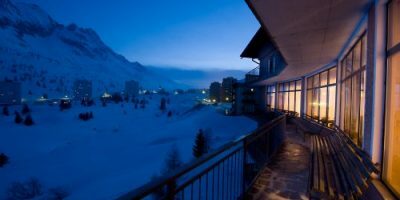 Rooms size: double 14-17 m2, three-person 18-25 m2, four-bed 32-35 m2, two-room 5-bed apartment 45 m2. 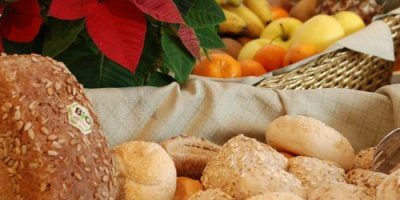 Suite Solandra and Camunia type: finished to the highest standard in the Camonica style, two-level apartments with an area of ​​45-60 m2. These apartments are located on the top floor and have separate mezzanine rooms for children. 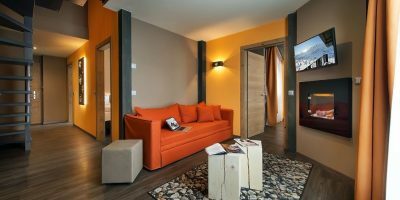 The apartments are equipped with: spacious wardrobe, underfloor heating, fireplace, large bathroom with separate toilet, bathtub and / or shower, minibar, telephone, free wifi, safe, 32 „LCD TV. 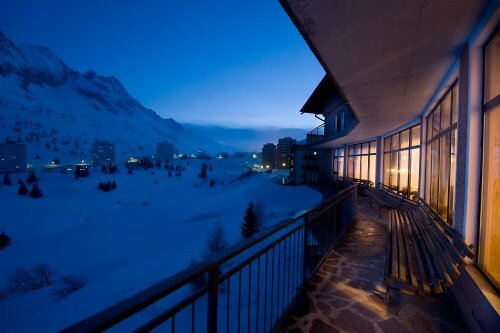 Each apartment has large windows and a balcony overlooking the mountains. 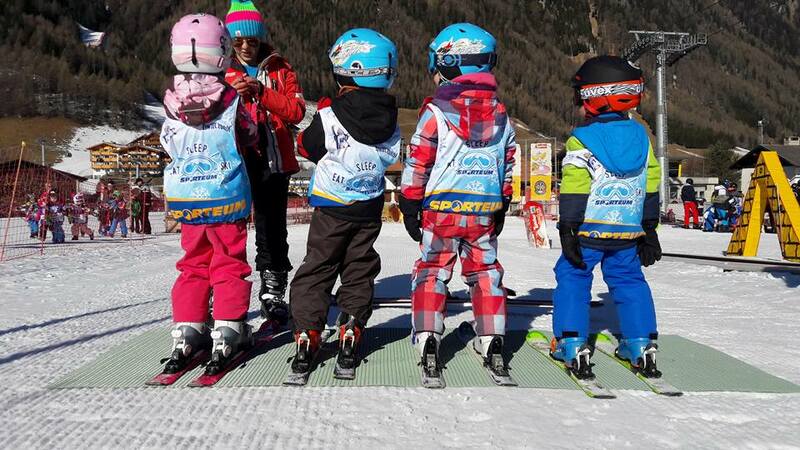 Ski Kinder Garden for children age 3-6 years old. 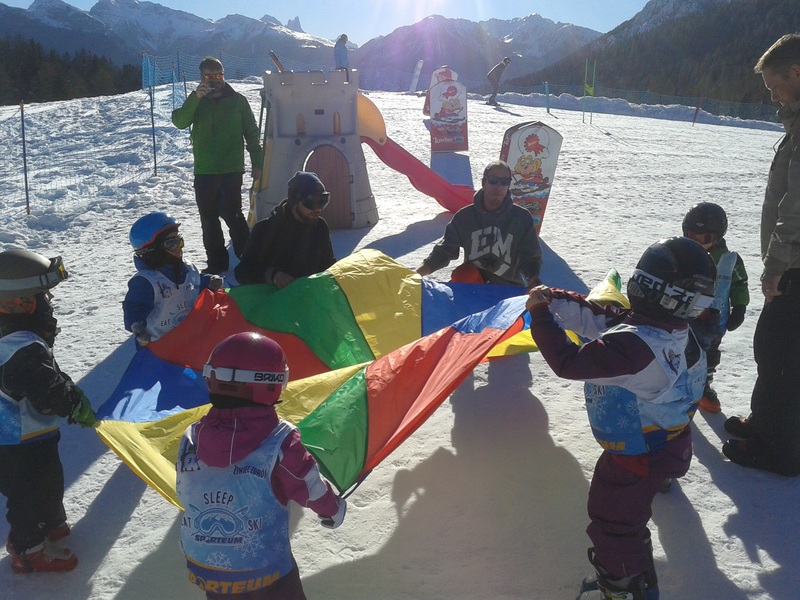 Classes take place in a special snow garden on a designated slope. 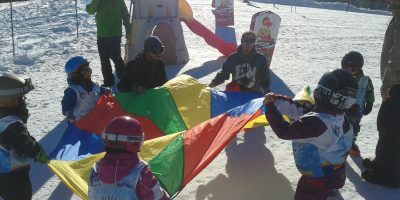 Classes last from 4 to 5 hours per day with a lunch break or supervised lunch break upon request. 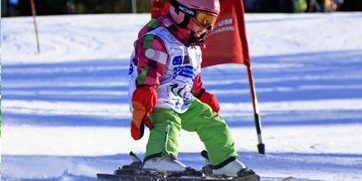 Nursery staff are carefully selected, experienced instructors with special predispositions. 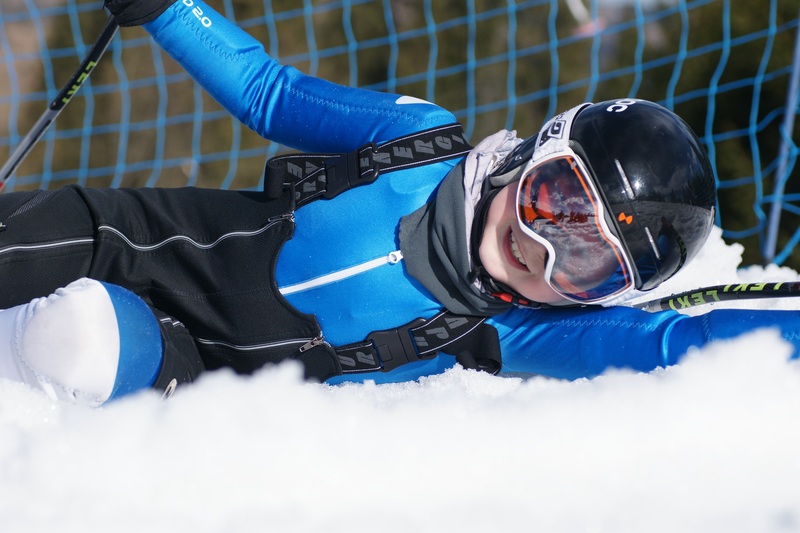 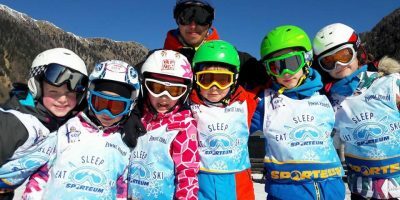 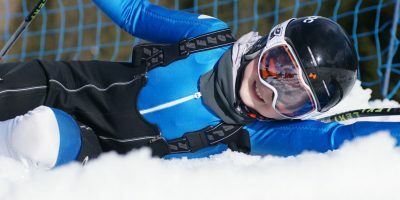 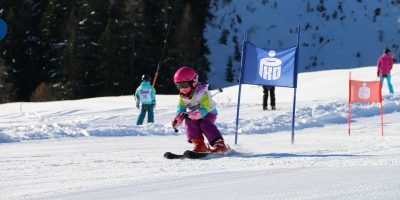 At the end of the camp – we host competitions on a selected slope where every child will receive a medal and a gift, and the best skiers will be awarded a trophy. 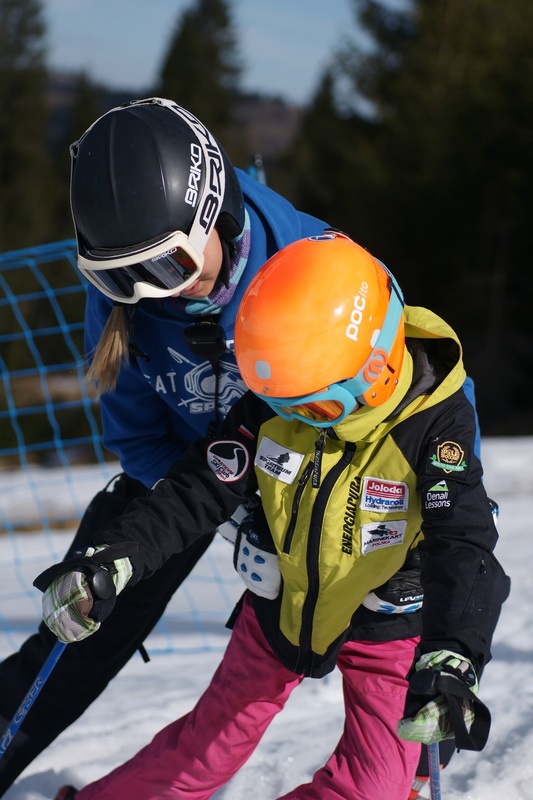 The assistant of the instructor is a nanny who supports tired or needy children. 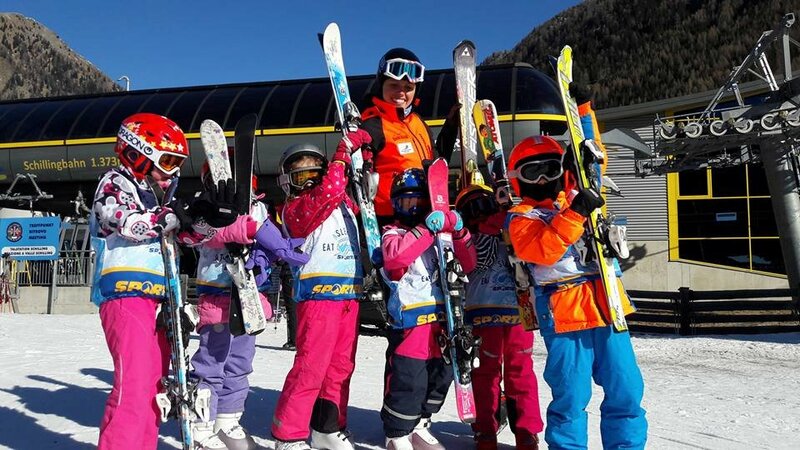 In the event of children getting cold or tired the nanny organizes fun activities at a nearby restaurant. 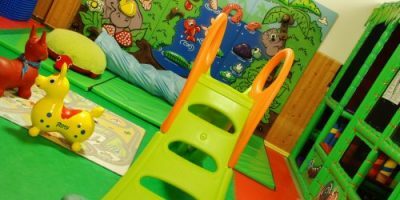 Experienced in working with children, using a range of accessories such as mushrooms, coloured frames, special soft sticks to make the experience more enjoyable. 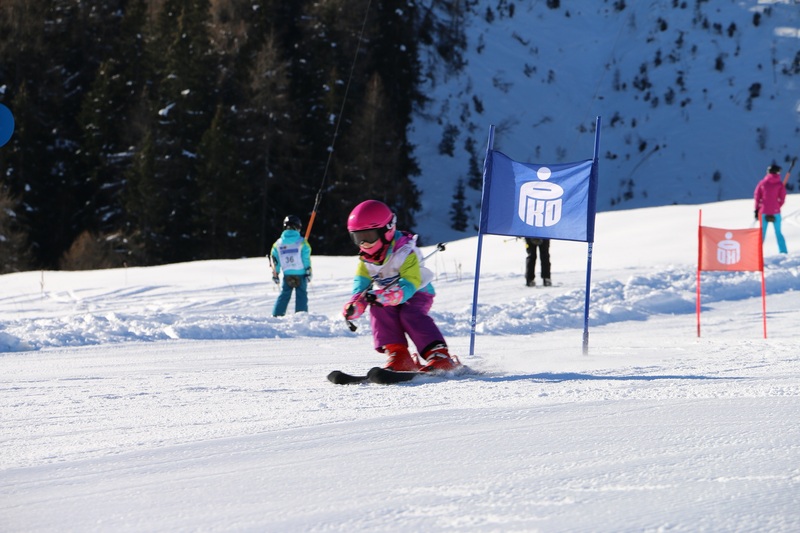 At the end of the camp we organize competitions for all children on a separate slope. 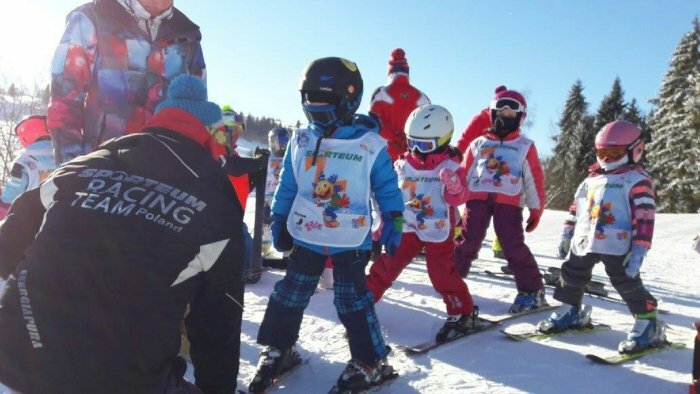 Each child will leave the camp with a medal and a gift, and trophy’s will be awarded for the best skiers. 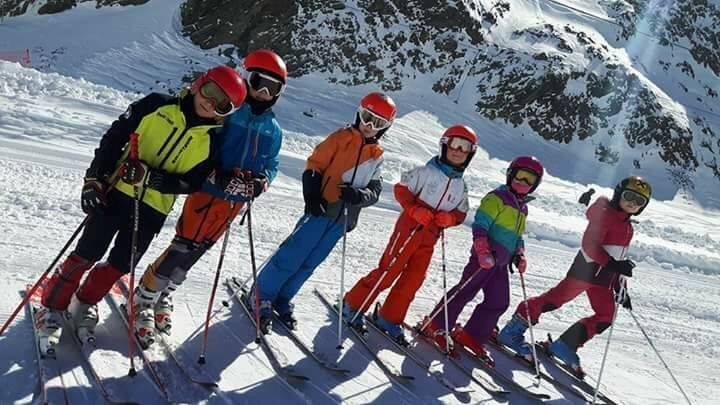 Safe skiing is our priority. 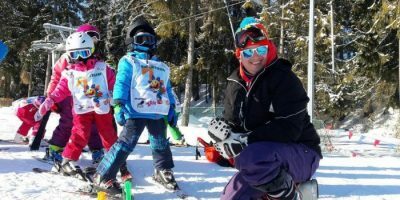 At the beginning of each stay, children undergo safety training and learn the Decalogue in a playful and humorous manner, but with an attitude to accurately explain the seriousness of the situations discussed. 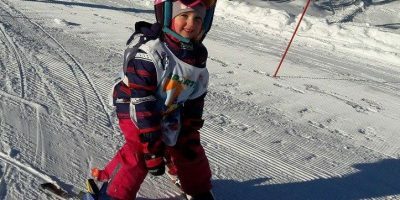 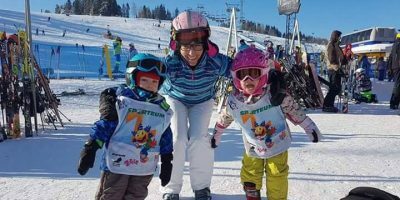 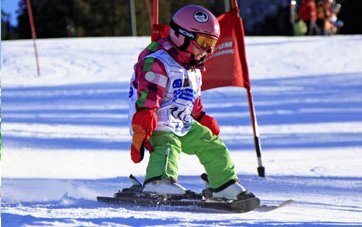 The youngest children will all receive colourful vests that distinguish the group on the slope and a helmet sticker with the telephone number for the organizer. 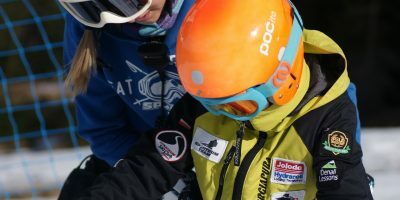 Selection of groups takes place before the camp, based on the level of advancement according to the proposed skill level. 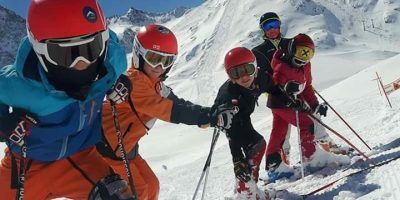 for intermediate-level skiers, we offer training techniques on edge, propeller ski and off-track skiing, as well as ski trips and freeride trips depending on the group’s priorities. 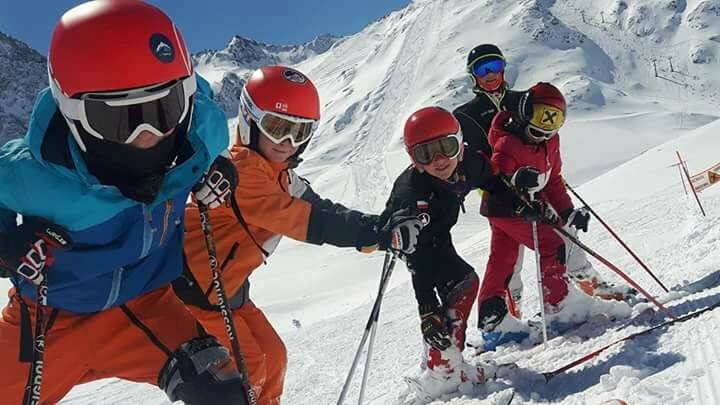 in the evenings as part of the training: discussions of technical aspects of the equipment, video coaching and training consultations with trainers and show of ski films. 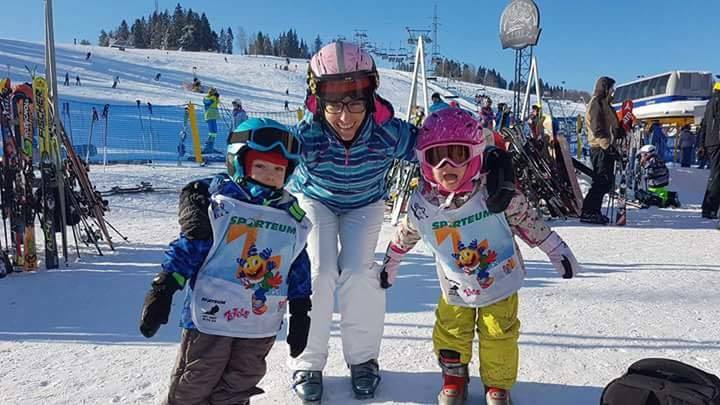 By email rezerwacje@sporteum.pl or by phone 796 998 234, the booking should be confirmed by a deposit of the equivalent of EUR 200 per person. 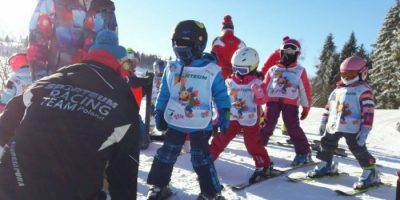 Payments can be made at the club’s reception desk, bank transfer converted into PLN at an average EUR / PLN exchange rate on the day, paid into the account of the Sporteum Ski Club: 65 1140 2004 0000 3302 3941 5222 or by transfer to the club’s EUR account: PL04 ​​1140 2004 0000 3412 0589 6917 SWIFT / BIC: BREXPLPWMBK. 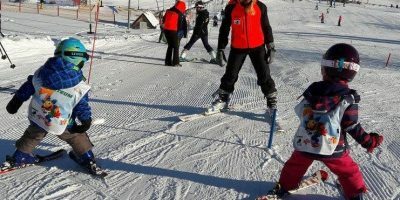 The remaining part of the costs shall be paid at earliest 30 days before departure. 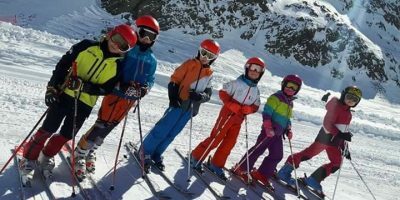 Price includes: 7nights, 7 breakfasts, 7 dinners, sports ski training for children, ski competitions, care of the rep, insurance, tourist insurance. 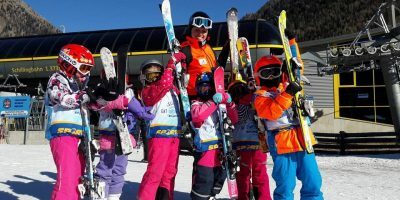 Price does Not include: bus transfer, ski training for adults, ski pass and any other extras that are not included in the above price table.